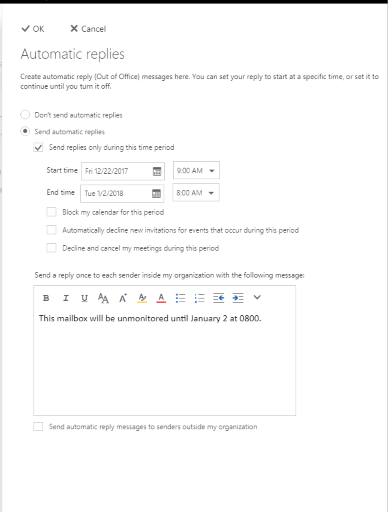 Here are instructions for setting an out of office message on a departmental shared mailbox. 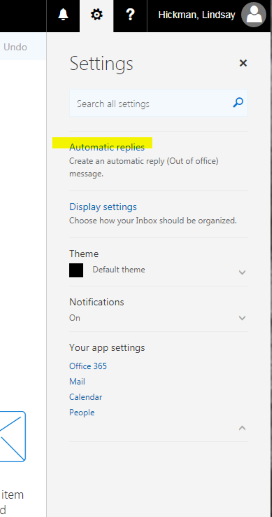 Log in to your personal Office 365 account at www.office.com. Enter your Network ID and password to sign in to your account. In the upper right hand corner, click on the icon next to your name. 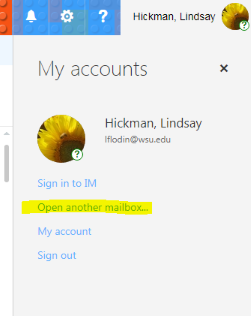 This should open a drop down window where you can select the option to Open another Mailbox. Type in the exact mailbox name or choose to search the directory to find your shared mailbox. 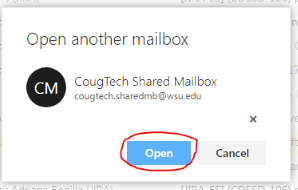 Once you click Open, you should see a new browser window open and you will now be looking at the Inbox for the shared mailbox. Now you are able to click on the icon in the upper right hand corner of the window and select Automatic Replies. You are now able to draft the out of office message for this mailbox. Be sure to click Ok to save your changes once you are finished.